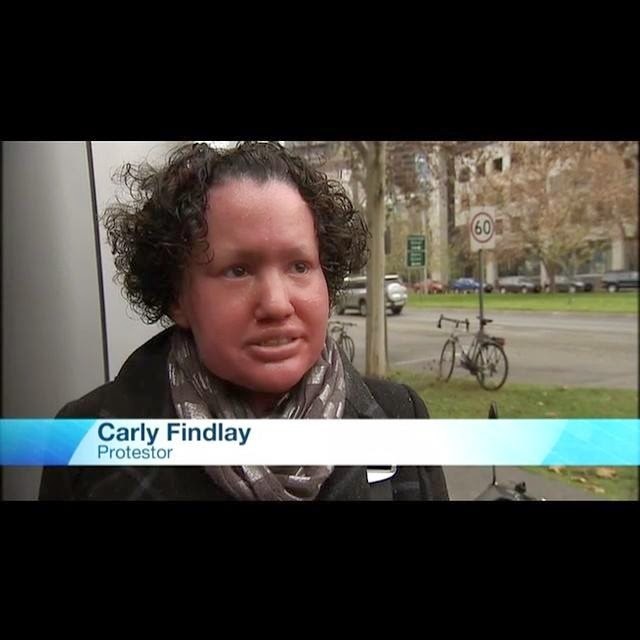 Tune into Radio Carly: Please support the Disability Voice campaign. Please support the Disability Voice campaign. 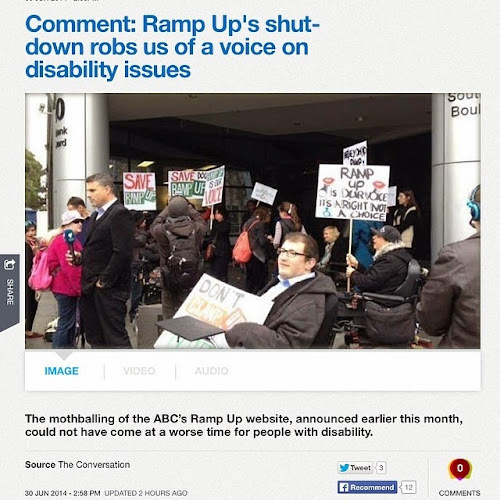 A couple of months ago I went to the Save ABC Ramp Up protest outside the ABC studios in Southbank. There were about 25 of us protesting - chanting and waving signs, and the media covered it. There was a strong sense of unity. We will not be silenced. I was a proud writer for Ramp Up and believe it was an integral part of Australian media. And I was a proud protester - taking a risk in publicly standing up in what I believe in. 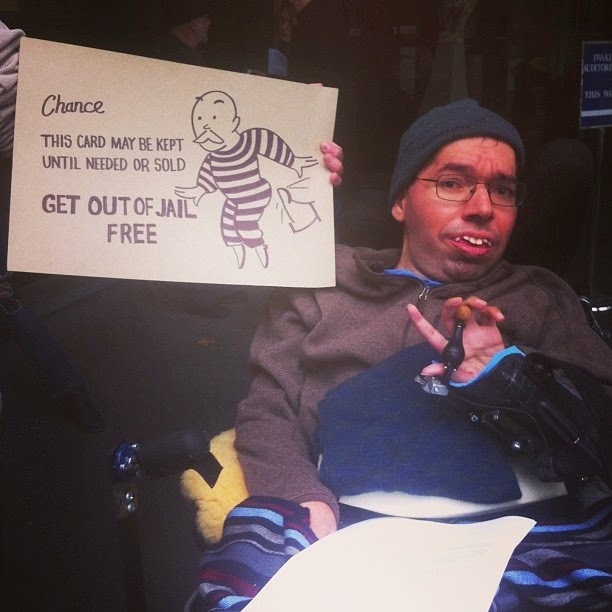 We wanted Australia's mainstream disability website to stay. 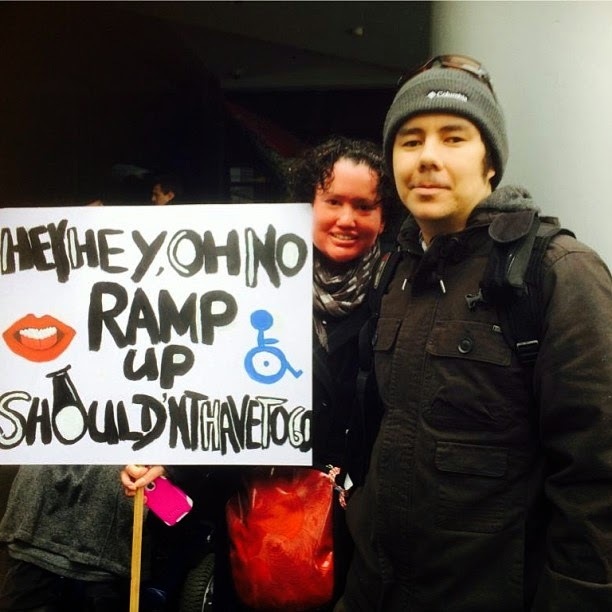 The protest didn't keep Ramp Up alive, but it got the Australian media and public take notice. 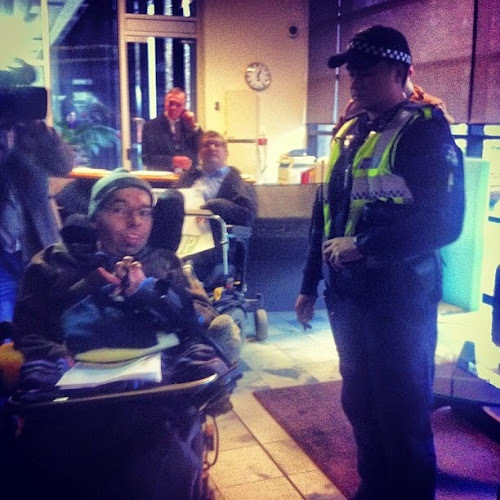 There's a gap in the mediascape - we're in need of a disability voice. We need diversity. And so now disgruntled members of Australia’s disability community are channelling their outrage at the closure of ABC’s Ramp Up website into a crowdfunding campaign to create a new and independent media outlet aimed at providing news and views about and by disabled Australians with disabilities. Central to the campaign is a controversial YouTube video which shows a woman in a hospital bed being gagged by her nurse. 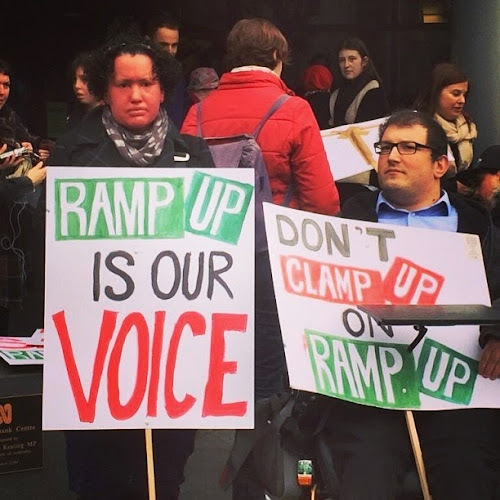 Dr George Taleporos, co-producer of the crowdfunding campaign wanted to bring attention to the silencing of the disability community that had resulted from the axing of ABC Ramp Up. 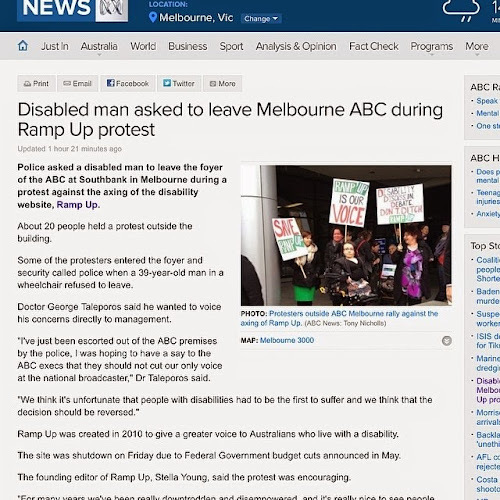 The former contributor to ABC Ramp Up, recently led a protest at the ABC studios that ended with protesters being escorted off the premises by police. Banking on a successful crowdfunding campaign, the new site will provide paid employment opportunities for people with disabilities by commissioning content and engaging members of the disability community as expert commentators on issues that matter most to them. And you know my stance on not working for free. 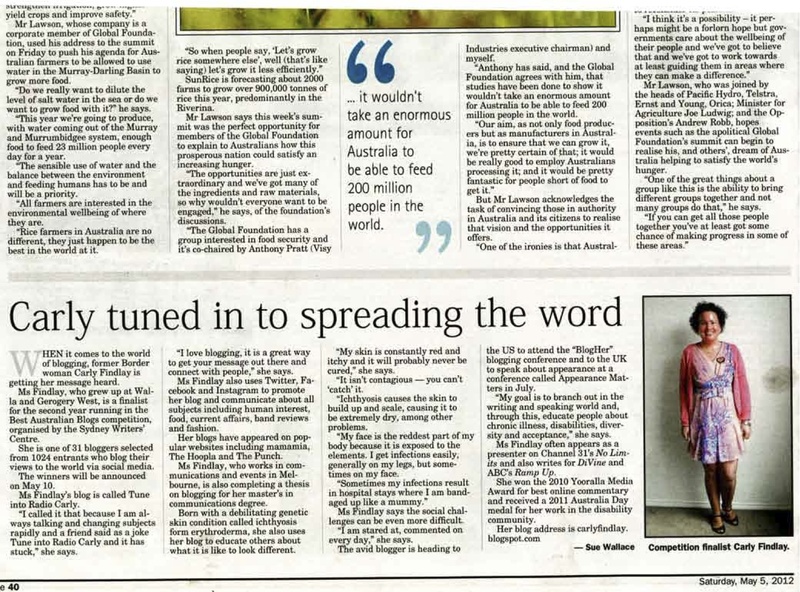 “We are determined to bring back to life this crucial advocacy tool for the disability community and for the wider community to hear our voices and our perspectives" said Rachel Croucher, co-producer of the crowdfunding campaign who has spent the last four months in hospital as a result of inadequate services in the community. Crowdfunding allows many small donations to be collected towards a funding goal. Please consider contributing to this cause. To contribute go to Start Something Good. Thanks Laura! 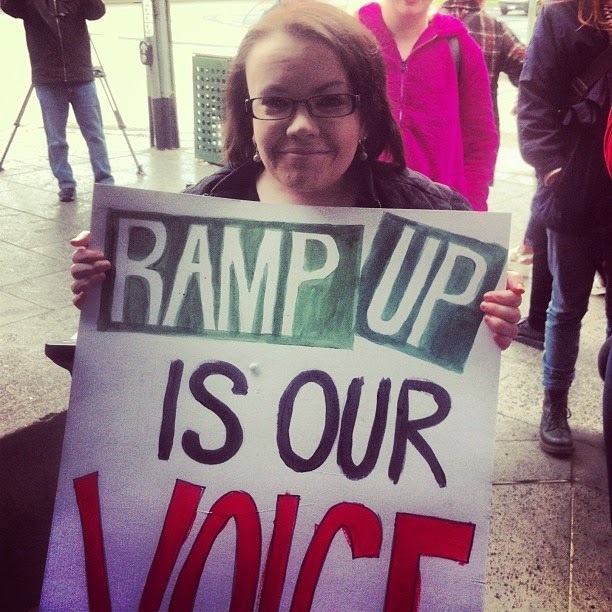 Ramp Up did pay its contributors. Advice for attending a blog conference. How I cope with Ichthyosis and working full time. My blogging and brand journey. What is it that you'd like to know?